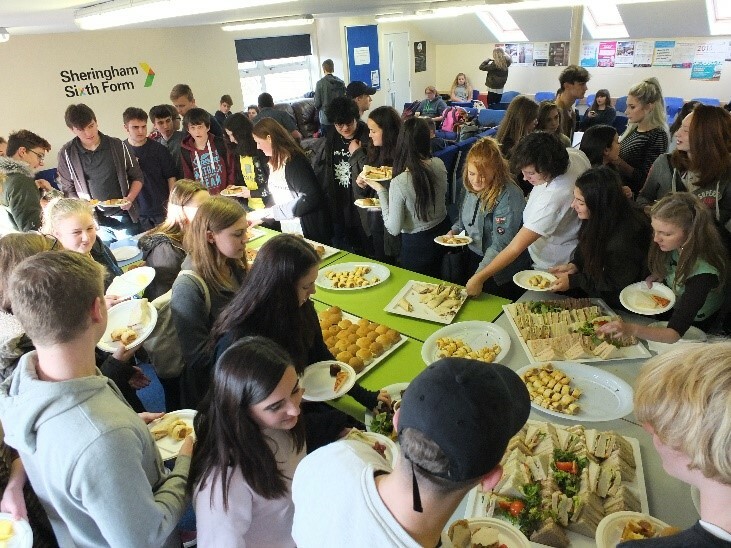 On 10th November 2016, Sheringham Sixth Form threw open its doors and welcomed a record number of Year 11 students for an early experience of what Sixth Form life will be like. In a packed day, over 100 students, from Sheringham as well as six other schools from as far afield as Aylsham, Litcham and Wells, sampled the full range of over twenty A Level subjects and Level 2 courses we offer. They also gained an insight into the more independent life and learning that the Sixth Form involves, as well as enjoying our unique version of Quiz’n’Surf at lunchtime. We now look forward to a bumper number of applications to the Sixth Form, as well as welcoming a fantastic group of successful, intelligent and lively students in September 2017 to complement the wonderful body of students we currently have. Thank you to everyone involved, especially Mrs Broughton for co-ordinating all students and staff with such military precision.